States that ranked the lowest were measured on 3 key criteria, and while they are the most important to Chief Executive’s readers, there are other ways in which these states provide value to their businesses. The California Competes Tax Credit committee in April approved $91.4 million in tax credits for 114 companies, which will help them create a projected 8,223 jobs and generate over $828 million in total investment across California. New York, No. 49, is working hard to attract or expand businesses. Notable examples include plans for a $1.2 billion biotech research center in Valhalla and the American Institute for Manufacturing Integrated Photonics hub in Rochester. The Empire State has embarked on a $100 billion infrastructure improvement plan, replacing the Tappan Zee Bridge—which is nearly completed—redeveloping LaGuardia and JFK Airports, and renovating the Penn Station and the Gateway Tunnel to New Jersey. 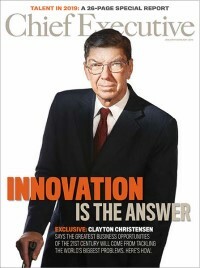 Even though there are many challenges for business in California, it remains a hotbed of opportunity and innovation. Illinois is next, but still home to 14 of the world’s largest companies, including Walgreens Boots Alliance, Boeing and State Farm. The Illinois Department of Commerce states that Illinois has low corporate taxes, a diverse economy and the fifth highest GDP in the nation. The Land of Lincoln also boasts of world-class research and innovation hubs including Argonne, Fermilab, 1871, and UI Labs. New Jersey is No. 47, but is still boosting investments across sectors. The New Jersey Economic Development Authority in April announced the creation of the NJ CoVest Fund, which will provide growth capital to early-stage technology and life sciences companies, driving up to $9 million in investment. Becton Dickinson, ADP, Chubb, Honeywell, Jackson Hewitt and others are based in the Garden State. While Connecticut is No. 47, the Constitution State still has one of the highest percentages of corporate and divisional headquarters, including Aetna, Xerox, United Technologies, Cigna and The Hartford. According to Connecticut’s Department of Economic and Community Development, the state ranks seventh in the number of patents, fourth in research and development, eighth in venture capital deals, third in the number of adults with advanced degrees, sixth in the number of scientists and engineers, and fifth in quality of life.